Submit all manuscripts online via: http://jams.allentrack.net (please note that "www" is not used in this address). This website provides directions for author registration and easy on-line submission of manuscripts. Authors should use the journal website instructions to submit complete copy of a manuscript, including tables and figures. Do not send original artwork or printed forms. Tables should be placed together at the end of the manuscript. Do not use any automated word-processing features, such as footnotes or citation links. The following formats are accepted text: Microsoft Word, Word Perfect, Rich Text Fromat (RTF), and Text. Figures should be submitted as separate files. The following formats are accepted for figures: TIFF, EPS, PDF, JPEG, Microsoft Word, and Postscript. Receipt of manuscripts will be acknowledged promptly by e-mail. If you do not receive acknowledgment of receipt after completing submission, contact the journal office by e-mail: jams@allentrack.net. Companion papers or papers in a series (part 1, part 2, etc) should be submitted together. Papers with continued chapters or parts will not be accepted until all parts have been submitted. Use 12-point type for all text (including tables). All sections of the manuscript must be double spaced, including references. Each section should start on a new page in the following order: title page, body, references, footnotes, figure legends, and tables. All pages should be numbered, starting with the title page. The author will be notified through e-mail if the manuscript is accepted. The purpose of these instructions is to ensure consistent quality and style of scientific papers published in the Journal of Avian Medicine and Surgery. Our goal is to be considered the primary publisher of scientific studies in the field of avian medicine and surgery. The Journal accepts original scientific articles, clinical reports, and review articles. Areas of interest include clinical medicine, surgery, anatomy, radiology, physiology, reproduction, nutrition, parasitology, microbiology, immunology, pathology (including infectious diseases and clinical pathology), toxicology, pharmacology, and epidemiology. Editorial policies are established by the Editorial Committee under the direction of the Board of Directors of the Association of Avian Veterinarians. The Journal is published quarterly and is peer reviewed. For consideration for publication in the Journal of Avian Medicine and Surgery, all research studies involving animals must have been performed in compliance with guidelines outlined in the Animal Welfare Act (USDA Web site), US Public Health Service Policy on the Humane Care and Use of Laboratory Animals (NIH Web site), NRC Guide for the Care and Use of Laboratory Animals (National Academies Press Web site), or Guide for the Care and Use of Agricultural Animals in Research and Teaching (Federation of Animal Science Societies Web site) or with equivalent guidelines. Although these documents may not be addressing ‘‘birds’’ directly, all manuscripts submitted to the Journal of Avian Medicine and Surgery must meet the ‘‘intent’’ of these guidelines. Methods of euthanasia must comply with the AVMA Guidelines on Euthanasia. When possible, approval of the research by an Institutional Animal Care and Use Committee (IACUC) is encouraged. In addition, a manuscript containing information that suggests that animals were subjected to adverse, stressful, or harsh conditions or treatments will not be considered for publication unless the authors demonstrate convincingly that the knowledge gained was of sufficient value to justify these conditions or treatments. The Journal of Avian Medicine and Surgery will not accept manuscripts that have been previously published in a refereed journal or conference proceedings. Use of data in an oral or poster presentation or an in-house report or publication as an abstract will not preclude the publication of data in the Journal of Avian Medicine and Surgery. The research reported in a paper must be testable and repeatable by other scientists who are knowledgeable in the field. Additionally, there must be due reference to previous work upon which the research depends. The suitability of each paper for publication is decided by the Scientific Editor and a panel of 2 or more reviewers selected by the Scientific Editor on the basis of their demonstrated expertise within a given field. All invited papers will be subjected to the same review policies and procedures as contributed papers. Reviewers recommend acceptance, rejection, or acceptance after revision (conditional acceptance). The Scientific Editor has the option of returning a paper to the author before it is reviewed if it is deemed necessary (ie, if there are major deficits in writing, form, or organization that need to be addressed prior to review). Papers returned to the author for this reason will be considered withdrawn and should be resubmitted as a new paper. Papers receiving a favorable review are returned to the author for incorporation of revisions suggested by the reviewers. The author will have 4 weeks to return the revised paper or to notify the Managing Editor of the disposition of the paper. Failure to return the revised manuscript or to notify the Managing Editor within 4 weeks may be interpreted as withdrawal of the paper and it may be taken off the publishing schedule. Questions from the author relating to reviewers' comments may be directed to the Scientific Editor. The Scientific Editor has the authority to reject a paper if revisions deemed important by the reviewers are not made. The Scientific Editor has the option of selecting reviewers if disagreements arise on any salient points. The revised paper will be copyedited to ensure that grammar, usage, and spelling are correct and that all matters of style (eg, terminology, abbreviations, dosages) are consistent and conform with the established style of the Journal. Authors are responsible for all information published, including changes made by the copy editor. Every effort will be made to publish papers promptly. The interval between receipt of a manuscript and date of publication depends directly on the time required for review and revision. Authors will receive PDF galley proofs of the article shortly before publication. Authors are expected to check proofs word for word and number for number against the final version of the manuscript. Only errors should be changed; further editing is not acceptable unless it is to incorporate recently updated data. Corrected proofs must be returned within 4 business days. Authors will be requested to provide a statement that all references have been checked for accuracy and that all drugs, dosages, tables, and figures have been checked and are deemed correct. Authors will be requested to sign a release of copyright to the Association of Avian Veterinarians. The Association of Avian Veterinarians will own rights to the entire contents of manuscripts, including photographs. 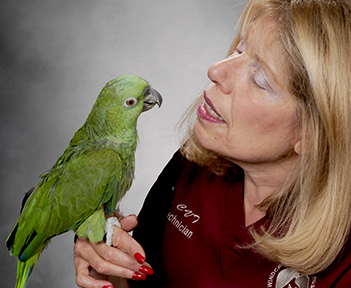 Researchers who want to reproduce information that has been published in the Journal of Avian Medicine and Surgery must request and obtain written permission from the Association of Avian Veterinarians. The Journal of Avian Medicine and Surgery uses EzReprint, a user-friendly, automated online system for purchasing article reprints. Prior to publication of the issue, authors will receive an e-mail with a unique URL (SmartLink) and information about the reprint order process. Clicking on the SmartLink will take authors directly to a web portal where they may place reprint orders. The e-mail will be sent from reprints@authorbilling.com. Reprint orders no longer have to be received in advance. If questions arise, authors should contact reprints@authorbilling.com directly. Authors or their institutions are required to bear the cost of reprints, but no page charges will be levied for publication in the Journal. The Association of Avian Veterinarians recognizes the standard organization of scientific studies used by most scholarly journals as recommended by the American National Standards Institute and, and require this for all manuscripts (except in the case of review papers). This organization is as follows: Abstract, Introduction, Materials and Methods, Results, and Discussion, each of which is described in these guidelines. Cover letter: Include a cover letter with your manuscript that includes the type and title of the manuscript being submitted for publication in the Journal, and the complete address, telephone and fax numbers, and e-mail address of the corresponding author who will receive the galley proofs. Please save the cover letter in a file separate from the text. Title page: The title page of the manuscript should include the title, the full names of all authors with their degrees, the names and addresses of authors’ institutions, including street address, city, state, ZIP or postal code, country, phone and fax numbers, and e-mail addresses. Authors’ institutions and addresses are given as footnotes to their names at the bottom of the title page. Abstract: An abstract summarizes the main points of the paper, and can be compiled by condensing important statements from the Introduction, Materials and Methods, Results, and Discussion. Please see current issues of the Journal for examples and order of key words. Please see current issues of the Journal for examples of content and style. Methods: Describe clearly the study subjects (birds), including criteria for selection. Include control birds, if any. Describe methodology, including all materials, substances, apparatuses, methods, and techniques used in sufficient detail to allow other investigators to reproduce the study. Give references to established methods, including statistical methods (results of statistical analysis should justify the interpretations and conclusions). Provide references and brief descriptions of methods that have been published but are not well known. Describe new or substantially modified methods and give reasons for using them. Results: The Results should be a concise account of important findings, presented in a logical sequence. Use tables and figures when appropriate. Tabular data should be explained, highlighted, or elaborated in the text, but not repeated. Discussion: The Discussion should interpret the results in the context of other published research. It should also discuss the significance or implications of the findings and their limitations, including implications for future research. Conclusions can be given, but avoid unqualified statements not supported by your data. References: Literature citations in the text and tables are identified by superscript numbers and given in order of citation (not alphabetical order). Roe JP III, Coe RT Jr, Loe JT Sr.
use et al for 5 or more authors; list first 3, then et al: Doe JFA, Roe JP III, Coe RT Jr, et al. Guzman DS-M, Flammer K, Paul-Murphy JR, et al. Pharmacokinetics of butorphanol after intravenous, intramuscular, and oral administration in Hispaniolan Amazon parrots (Amazona ventralis). J Avian Med Surg. 2011;25(3):185-191. 2. Silverman S, Tell LA. Radiology of Birds: An Atlas of Normal Anatomy and Positioning. St. Louis, MO: Saunders/Elsevier; 2010. 3. Macwhirter P. Basic anatomy, physiology and nutrition. In: Tully Jr TN, Dorrestein GM, Jones AK. Handbook of Avian Medicine. 2nd ed. Philadelphia, PA: Saunders/Elsevier; 2009:25-55. 4. Fedde MR. Structure and function of the avian respiratory system. Proc Annu Conf Assoc Avian Vet. 1993;1-26. 5. Health Care Financing Administration. 1998 statistics at a glance. Available at: http://www.hcfa.gov/stats/stathili.htm. Accessed December 2, 1996. One-word journal titles are not abbreviated. Do not use periods between abbreviated words. Use Index Medicus abbreviations and italicize the journal name. Units of measurement: Use only the metric system, although °F may be placed in parentheses after °C. Use ml (not cc), dl (not 100 ml), and µg (not mcg). Numerals: Use numerals preceding abbreviated units of measurement (eg, 4%, 2 g, 6 cm). Use numerals for everything countable: 4 animals, 2 times, 3 ml, 14 birds, 72 hours (but on the one hand; an example or two). Never begin a sentence with a numeral. Supply another word or spell out the number. Units of measurement following spelled-out numbers must also be spelled out. Write 1000, not 1,000, and 10 000, not 10,000. Ranges are expressed with a dash (eg, 2–3 mm or 20%–30%). Ordinal numbers up to ninth should be spelled out in the text; they may be abbreviated in tables to save space. Abbreviate ordinal numbers 10th and above. When data are expressed in inconveniently large or small numbers, headings in the appropriate columns of tables or footnotes in figures should indicate that values contain a common factor (eg, 105 ; 10-8). Dates are written using the format March 7, 1999. Months should be abbreviated in tables (except title) with 3-letter abbreviations (eg, Feb, Mar). Abbreviations: The editors of the Journal of Avian Medicine and Surgery, following the practice of many highly regarded editors of human and veterinary publications, strongly discourage the use of abbreviations and acronyms with the exception of internationally approved and accepted units of measure and some well-recognized clinical and technical terms and symbols (CBC, RBC, WBC, PCV). The following are some general guidelines: the first time an abbreviation is used, spell out the word and put the abbreviation in parentheses. Avoid using abbreviations in the title, abstract, text headings, figure legends, and tables. Do not abbreviate a word that is only used once or twice. Abbreviate units of measurement when preceded by numerals. Units of measure are not abbreviated when they follow spelled-out numbers at the beginning of a sentence or when they are not preceded by numbers. Units of time are not abbreviated in running text. Use abbreviations for units of time in table heads and in the flush left column. Also use abbreviations in virgule (slash) or like constructions. Abbreviations are written in the singular, even though they may be plural. Avoid abbreviating disease names. Acknowledgments: Acknowledgments should be limited to financial support, to people who have made a substantial contribution to the study, or persons responsible for preparation of the manuscript. Tables: Please refer to a recent issue of the Journal for style. Each table should be typed on a separate page inserted in the manuscript after the references or figure captions. Figures: In general, most figures (particularly histopathologic and electron microscopic photographs) should be labeled with letters or arrows denoting salient features. Figures legends should be inserted in the manuscript after the references and before tables. Figure legends should stand alone: identify the bird (and disease or condition if applicable) followed by a description of the salient features illustrated by the photograph. Legends for photomicrographs should contain the amount of magnification and identify the stain. Headings: Three classes of headings are used within the text of a manuscript. Major headings: Introduction, Materials and Methods, Results, Discussion, Conclusions, and References are centered, uppercase and lowercase, bold, major words capitalized. First subheading: flush left, bold, first word only capitalized. Second subheading: paragraph start, italics, followed by colon. First word only capitalized. The following is a partial list of acceptable abbreviations. day, etc, instead of sid, bid, and tid. Final quotation marks should follow a period or a comma; question marks, colons, or semicolons follow quotation marks.